Ford Motor Co. has hired former Hyundai and Mercedes-Benz designer Joel Piaskowski to head all exterior design for Ford in the Americas. The assignment includes all Ford brand and Lincoln models, Ford Motor spokesman Alan Hall said today. The position has been open since Moray Callum was promoted to become executive director of design for Ford in May 2009, Hall said. 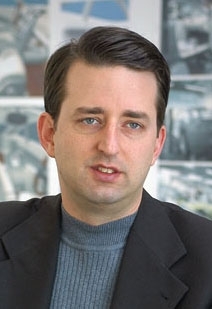 Piaskowski, 41, left Mercedes-Benz in March after becoming the head of the automaker's advanced design center in California in January 2009. Prior to joining Mercedes-Benz, Piaskowski headed the design team for Hyundai Motor America, where he was known for the design of the Hyundai Genesis Coupe and Genesis sedan. The Genesis sedan was named 2009 North American Car of the Year. A 1990 graduate of the College for Creative Studies in Detroit, Piaskowski began his career at General Motors, where he worked for 13 years on interior and exterior designs for Pontiac, Chevrolet, Buick and Opel. Piaskowski will begin his position at Ford on Oct. 1.